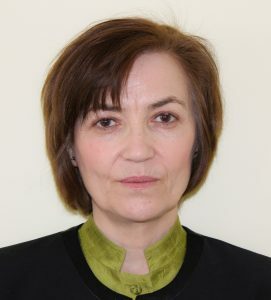 Dr. Marinova’s research has primarily focused on problems connected with the analysis and the development of computational tools and models for engineering and scientific problems. This comprises problems in the area of scientific computation such as the Navier-Stokes and convection-diffusion equations and the application of the Method of Variational Imbedding for inverse and/or ill-posed problems. During her work in the software industry, Dr. Marinova worked on pedestrian motion in realistic virtual reality environments applied to the area of evacuation dynamics, and on several other industrial applications, among them design of marine drilling risers. Dr. Marinova is also actively involved in outreach activities for increasing the appreciation of mathematics and science in the community, and in the production of math enrichment materials for pre-university students and educators. Development of a research line and scholarly activity in computing. Summarizing research findings on the Method of Variational Imbedding (MVI), used on numerous occasions for tackling various scientific and engineering problems. Production of math enrichment materials for pre-university students and educators. 2017 G. Momcheva, T. Glushkova, R. Marinova, Informatics for Grade 8 for Teachers, Bulvest 2000 (in Bulgarian). 2017 G. Momcheva, T. Glushkova, R. Marinova, Informatics for Grade 8, Bulvest 2000 (in Bulgarian). This page provides only select information on Dr. Marinova’s expertise and research. For further information, for example, to see a list of Refereed and Non-Refereed Publications, Mathematics Outreach Publications and Conference Presentations, please see here.